Mel McLaughlin, Andy Maher and Abbey Gelmi will host Seven’s coverage of the Australian women’s T20 series from September 29. Former Australia stars Lisa Sthalekar and Julia Price will commentate. Australia’s Southern Stars take on the White Ferns in a three-match T20 International starting Saturday September 29 Live on Channel 7 and 7mate. Australia is fresh off an impressive win over England in the final of their tri series in India earlier this year, so will take some confidence into this series. 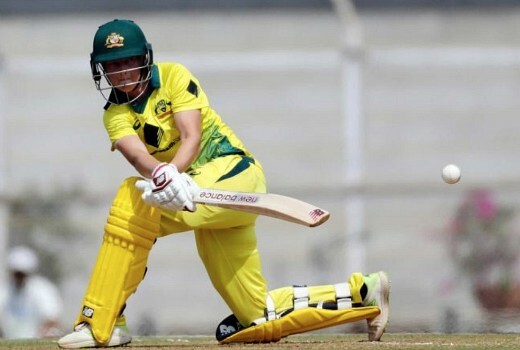 Australian squad: Nicola Carey, Ashleigh Gardner, Rachael Haynes (vc) Alyssa Healy, Delissa Kimmince, Meg Lanning (c) Sophie Molineux, Beth Mooney, Ellyse Perry, Megan Schutt, Elyse Villani, Tayla Vlaeminck, Georgia Wareham. 2pm on a Monday afternoon and the game gets moved to 7mate, what’s wrong with the main channel?